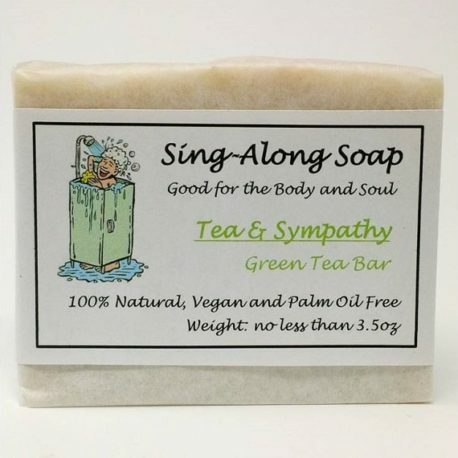 TEA & SYMPATHY: Protect your skin from signs of aging and the damaging effects of free radicals with our GREEN TEA enriched soap bar. Lemongrass and tea tree essential oil blend provides a refreshing scent while acting as a skin toner and gentle antiseptic. 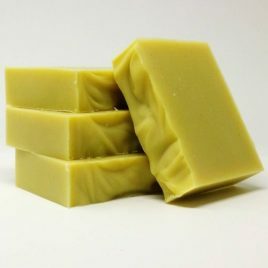 Ingredients: Saponified Vegetable Oils (Extra Virgin Olive, Coconut, Sunflower, Castor), Distilled Water, Essential Oils (Lemongrass, Tea Tree, Lavender, Lemon), Shea Butter, Calcium Bentonite Clay, Sea Salt, Green Tea (steeped). 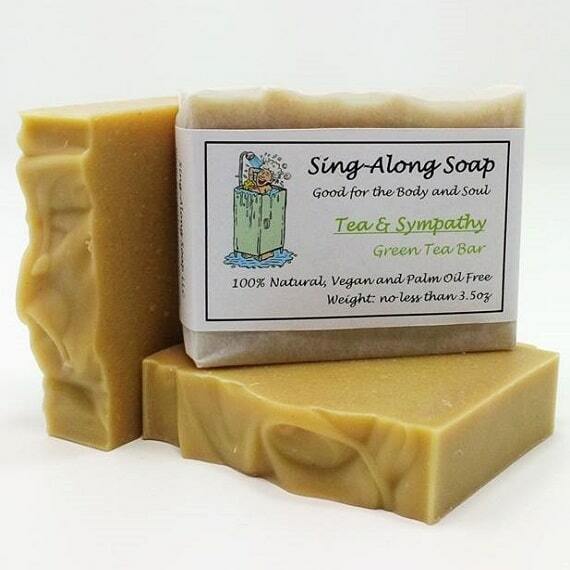 Tea & Sympathy is my favorite. Love the way it smells and how my skin feels after using it. My husband traveled to Thailand for work and they had a tea/lemongrass scented soap in the hotel he stayed at. Fortunately for him, the room service provided him with a new bar of soap for EVERY DAY of his 5 night stay. He came home with all of them, and asked if I could find out how to order it because it was his new favorite… of course I will, right?! Umm.. it’s $17 per bar, so I was on the hunt for something that could match the scent since that’s really what he was after. I figured my best bet would be to find something homemade, and I couldn’t have been more right. 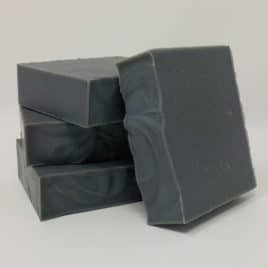 This soap doesn’t only have him over the moon for it, he’s already asked me to get more. 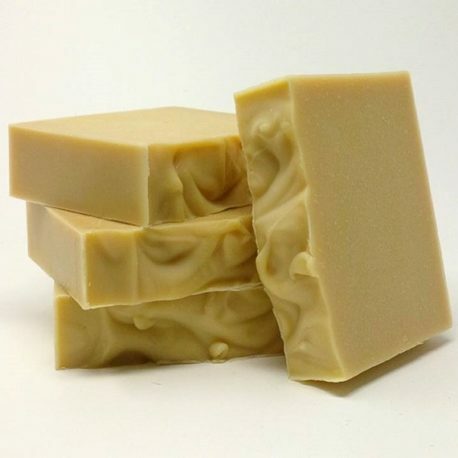 He loves the lather and that his skin isn’t sticky or dry afterwards as we’ve experienced with other homemade soaps. I was also impressed with the fact I received it only 3 days after ordering! We’ll definitely order again soon! I’ve been using Tea & Sympathy home made soap for years and wouldn’t be without it. It is gentle on my aging skin and adds moisturizer as I shower. The scent is wonderful. 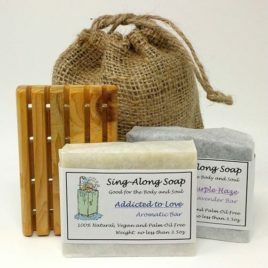 Another product that Sing-Along has that I love is the wooden soap caddies, it keeps the sink clean and free from soap residue. I have one for every sink in my house. 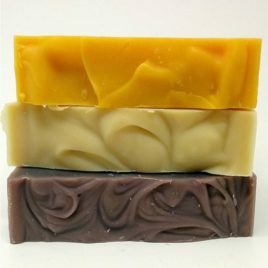 This is one of my favorite soaps. I like the way my skin feels after using it. Tea & Sympathy is a favorite among the many wonderful soaps. It has the light, clean smell of green tea with nourishing ingredients that do not dry out your skin. A perfect combination. Shipping is super fast too.